With an estimated 834 million dead trees an out of control wildfire in Colorado could cause unprecedented damage to humans and wildlife alike. A rapidly growing wildfire has lead to mandatory evacuations near the town of Breckenridge, Colorado as crews gather to battle the blaze. The Peak 2 fire ignited late on Wednesday morning and quickly spread to more than 70 acres in just hours. The Peak Seven development near Breckenridge is under a mandatory evacuation order, which includes 463 homes, according to the Town of Breckenridge Facebook page. 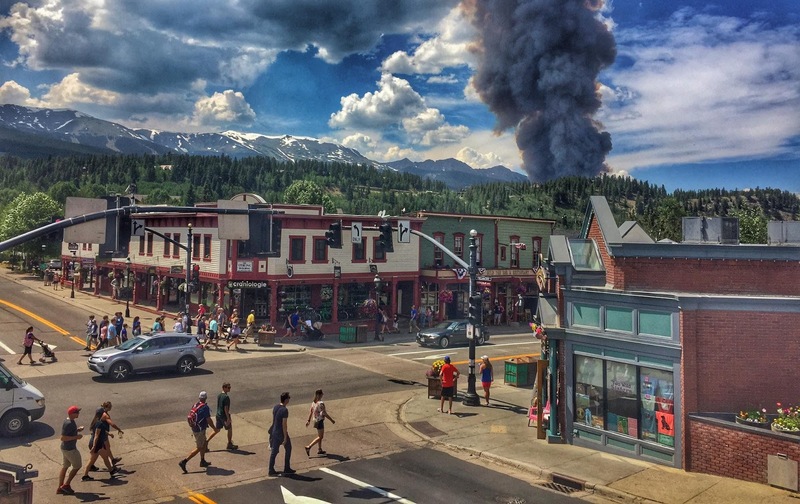 People in Breckenridge, Gold Hill and Silver Shekel have also been asked to prepare for possible evacuation if the fire continues to grow. "Air resources have been working the fire, as well as a load of smokejumpers and a hotshot crew," Inciweb said. Additional resources have also been ordered to help contain the blaze. Conditions will remain very warm in the Colorado Rockies through the weekend with the chance of thunderstorms each afternoon, AccuWeather Senior Meteorologist Frank Strait said. "While thunderstorms will produce downpours in some areas each day, lightning from the storms can spark new wildfires in areas that remain dry," Strait said. Winds from these thunderstorms can also effect the fire until crews are able to fully contain it.